Share individual files, folders and entire projects. When you share work through Simian, recipients receive an email branded with your logo and color scheme. 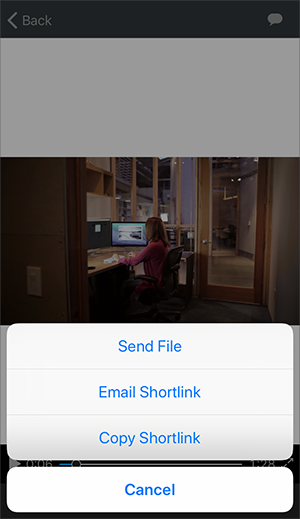 If you need to share files by a method other than Simian, create a short link and send it with your email, on social media, in texts, or anywhere you can paste a link. For added viewer tracking, assign a label to your link so you can track who you’ve sent it to and whether or not they’ve viewed the files. Review work from your app and keep projects moving. You can comment on files and approve (or reject) work instantly, so collaborators can quickly make necessary revisions and meet deadlines. 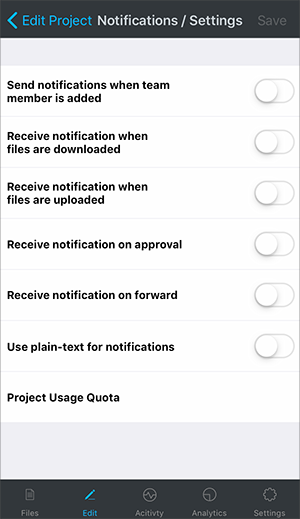 The Projects app allows you to manage user access and add new users with custom permission levels. We know how vital the security of your projects is, which is why we give you complete control over how much (or little) access users have to your account. You can give them access to your entire account or restrict them to only the projects section only or only a single project, whatever fits your needs. Stay up to date with what’s going on with each of your projects. 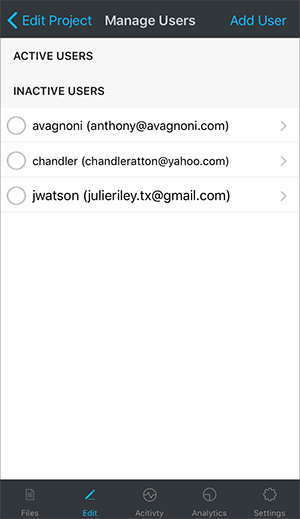 Receive custom notifications via email to keep track of activities like who’s uploading, when comments, when new users are added and more. Looking for additional instructions on using Simian Projects? Visit our knowledge base. We’d also love to know what you think of the Projects app. Send comments, reviews or recommendations to support@gosimian.com. Customer feedback helps us make our products and features more useful and efficient.